Emerald: Syrian Defence Minister killed! 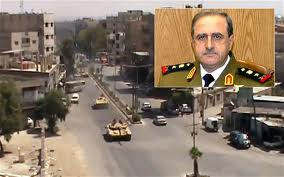 Syrian Defence Minister Dawoud Rajhah and brother-in-law to President Assad was this morning killed in an attack at the Syrian capital, Damascus. The opposition fighters whom the government has labeled terrorists, have declared an all out war aimed at bringing down the Assad regime. This struggle in Syria has lasted over 17 months with thousands dead and millions displaced.